It is often a daunting task to manage your finances with all of the different and varying expenses that you can accrue today. From mortgages, credit card bills, car payments, there are many financial responsibilities to juggle. Sometimes these expenses creep up on us and make it very difficult for us to pay. That is where a cash advance can truly help. A cash advance payment is the sum that is paid toward the advanced amount of money that was received by the individual. This amount should be paid in full to eliminate any new charges or fees to an account. If this is not a possibility, the consumer will need to budget money very strictly and come up with a plan where the cash advance payments will be paid off as quickly as possible. To ensure a high level of organization and self-esteem through this whole process there are some things to think about when budgeting this expense into the rest of an individuals financial plan. While these loans are often useful to those in need of emergency cash for bills or other unexpected financial burdens, there are often fees and interest that you must pay for the convenience of these cash advances. If they are not paid in a timely manner, they can also accrue fees and can ultimately damage your credit. The positives truly do outweigh the negatives, however, as paying multiple bills late or not at all will harm your credit far worse than missing the pay date on a cash advance. It is good to know what bills are due and to save the correct amount of money rather than turning to cash advances as it is sometimes difficult to keep up with the payback of such loans. Many people use the pay yourself first approach to saving money. Simply put a certain amount of money from each paycheck aside to take care of certain bills. A few dollars out of each check makes saving seems less daunting.It may also be useful to have a family bill calendar in your home where all the bills are marked as to when they are due, in what order and in what amount. Regardless of bugdeting, you may be faced with an emergency and no other options. 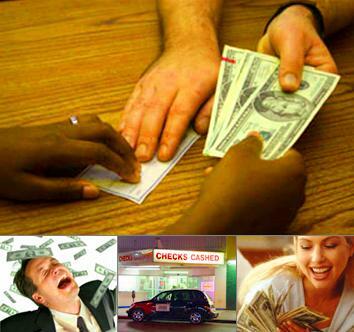 In these cases there is no harm in taking out a cash advance so that you can have financial peace of mind. Next story Can Words Be Recycled? Are All Credit Cards Good? This is such good advice. I’ll pass this onto my grandchildren. Five of the seven are ages 18 to 26… If these habits are drilled in at a young age..it can help create good credit habits. Credit..can be good, if used properly…wonderful post. Thanks, Im so glad you liked this post. Good idea to pass this onto your grandchildren, the sooner they learn this financial planning business the better.